Like countless families, our founder Mary struggled with infertility for years. But after all the disappointments, a life-changing experience occurred in 2012, when her son, Lane, was born — though 15 weeks premature, Lane spent 109 long days in the Neonatal Intensive Care Unit (NICU). This courageous little boy beat all the odds and was eventually brought home with a healthy start on life. An exciting product for the ever-so-difficult to please tweens & teens is Scen-Ties Scented Hair Accessories! 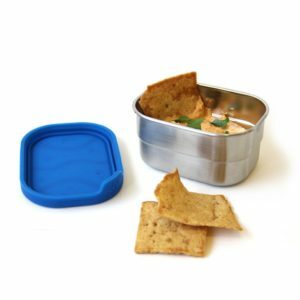 Created by a mother of four who grew up in the 80’s, when scrunchies, Rubiks cube, Strawberry Shortcake, jelly shoes, and stickers were all-the-rage, CEO Kara Dahn is setting a new trend, channeling her love of Scratch n’ Sniff stickers – with a unique twist- hair elastics and headbands that are scented! 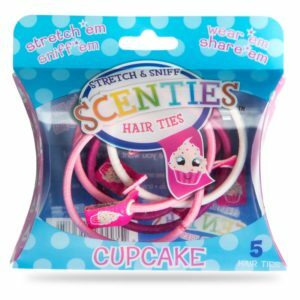 Scen-ties hair ties are available in a variety of scents, including Cotton Candy, Sour Apple and Bubblegum. The best part? Their fragrances last up to or more than a year! Each hair tie and headband contains a small fabric tag and once you pull it, the fragrance is released and refreshed due to a patent pending scenting process. 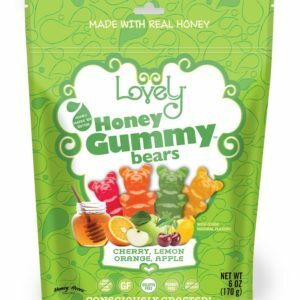 Delicious fruity gummy bears made with Honey! Nothing artificial, no high fructose corn syrup, no gelatin or gluten either. Ingredients: Honey, Tapioca Syrup, Cane Sugar, Modified Potato Starch, Citric Acid, Malic Acid, Natural Flavor, Fruit and Vegetable Juice (For Color), Spirulina Extract (For Color). Felted soap is a bar of soap that is wrapped in 100% wool. Not only is this bar of soap fun, it’s an Exfoliator too! 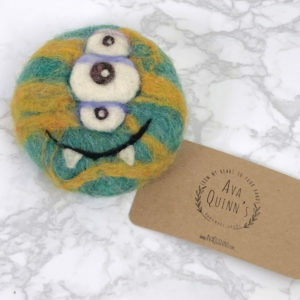 Felted soap is truly amazing! The wool is like a built in wash cloth that gently exfoliates the skin. Wool roving creates a wonderful cocoon around the soap bar. After rubbing your felted soap under warm water it will produce a thick creamy lather. Perfect for your bathing experience. Portable. Antibacterial. Refillable. And the cleanest your screens have ever been! Hӓns Swipe is the perfect pocket-sized compliment to life in the 21st century. Whether it’s your smart phone that can’t read your fingerprint identifier or the GPS you can’t read because the sun’s glare is reflecting off the myriad of fingerprints, this is a tool you’ll use every day and forever. You can even use it on other touchscreens – at the library, the ATM, out at a restaurant, you don’t have to worry about whether it’s actually clean or what the person before you had or did – 2 swipes, clean, polish, and you’re good to go. 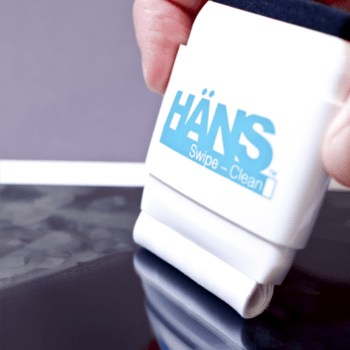 Each Hӓns Swipe is good for hundreds of uses, and is quickly and easily refillable. Stack ‘em high like an architect to create the skyline of your dreams or keep it simple and fiddle for fun stress relief. Feel the tension of the workday melt away as your fingers meet the soft-touch matte finish on the outside of each block. 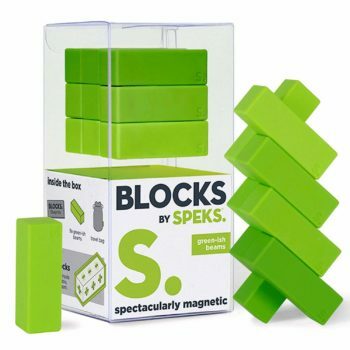 Blocks by Speks are quite possibly the best gift for cool coworkers, head honchos, top teachers, #girlbosses, or anyone who needs some stress relief with a side of fun. So what are you waiting for? Get blockin’! 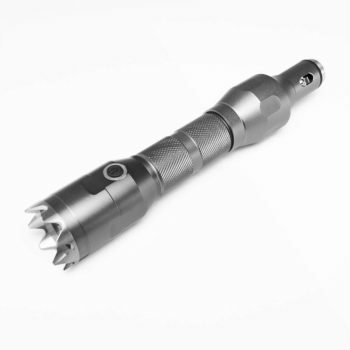 Be ready for anything when you have the Tactical 5-in-1 EDC Emergency Tool from Elecman. Designed to be easy to carry, it does it all. It includes a car charger so you can plug in and charge up on the go. It also doubles as a power bank for even more convenience. In addition to this, the Tactical Tool conceals a seatbelt cutter which can save your life in the event of a collision. For emergency vehicle situations, the end functions as a window breaker and it houses a flashlight with multiple lighting modes. You can choose between high and low to illuminate your space or use the blink or SOS functions for help. With a range of 300 meters, the battery lasts a full two hours in bright mode. Incredibly, all of these tools come in a compact size so you can keep it in your car, take it hiking, or carry it everywhere.